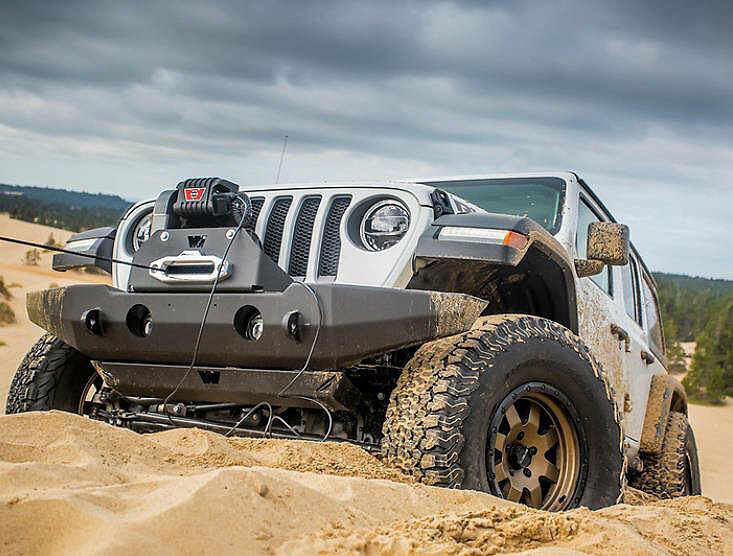 Warn's legendary M8274 winch has long been a iconic recovery tool for generations of Jeep enthusiasts thanks to its strength, durability and distinctive look. 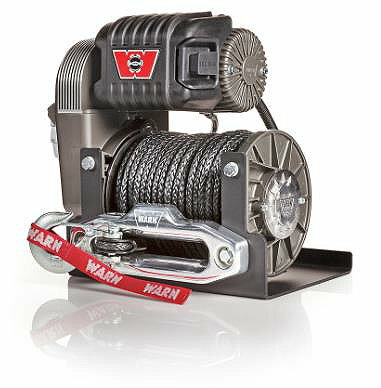 And now, for the company's 70th anniversary, Warn has upgraded this classic winch, given it more strength and even increasing its line speed - all while giving it a modern look with retro styling. 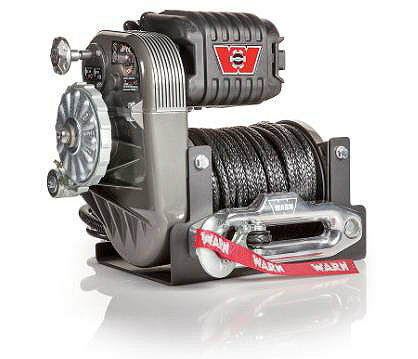 Introducing Warn's limited edition 70th Anniversary M8274-70 Self Recovery Winch. With a high-output 6HP motor for 10,000lb pulling capacity, this winch not only has the power to get things done, but also the speed. In fact, it is the fastest winch at load that Warn has ever produced. This guy also includes retro badging for a distinctive look, and a bolt/washer setup on the spur gear, as well as Oilite bushings on the pinion for increased durability. Complete with Spydura synthetic rope and a IP68 waterproof rating, this is definitely a go-to winch for serious off-road recovery. Word to the wise, though. Warn has limited production to 999 of these commemorative winches worldwide, so act quickly if you want this anniversary winch on the front of your Jeep. 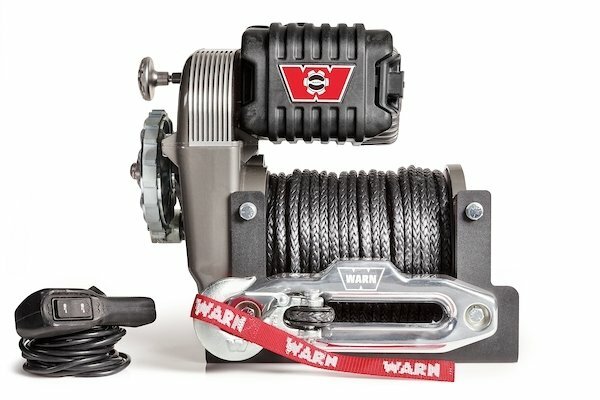 Limited Edition: Warn has only made 999 of these limited edition winches worldwide so you will be sure that your Jeep has a one of a kind winch helping you out on the trails with a special 70th anniversary badging along with being individually numbered so you can show it off to all of your friends. Better Performance: With a high performance 6 hp series wound motor you can expect faster line pulls up to 50%. The bolt and washer secured brake shaft gives you amazing durability while under competition recovery conditions while the Oilite bushings used on the pinion gear assembly provided great wear resistance.